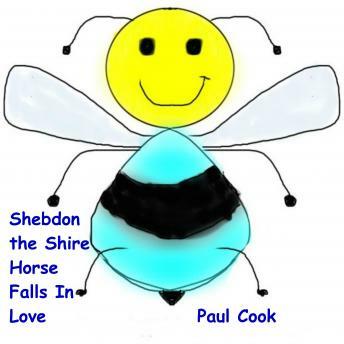 'Shebdon the Shire Horse Falls in Love' is the twenty-second individual 'Pete the Bee' story written by British author Paul Cook. The stories are centred around the rescue farm where Pete and his friends live. The animals, which include Shebdon the shire horse, Greggor the goose and Brandon the fly, share many adventures together but Pete usually saves the day. These lighthearted stories can be enjoyed by children of all ages.